This blog is sub-titled “Adventures in Collecting Beatles Music”, and that’s exactly what happened to me this week. I had some colleagues in town for a conference and on Tuesday we all went out for a drink in the city. On the way there our cab went past a second-hand book and CD shop called T.Kelly Books on George Street, which is the main thoroughfare through the Sydney CBD. I’ve known about this store for some time but not visited it for years. Its a bit of an institution. The reason I noticed it this time was a very big sign out the front: “ALL STOCK 50% OFF”. Hmmm….looks like it is closing down, which is sad. Mental note – “Try to get time to come back later this week….”. “Compiled by the editors of ROLLING STONE, Harrison chronicles the guitarist’s life before, during and after the Beatles. 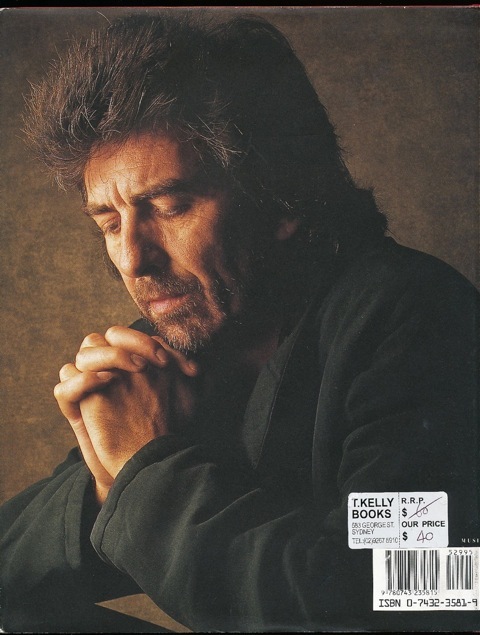 Contributing editor Mikal Gilmore offers an expansive, thoughtful new essay, “The Mystery Inside George.” ROLLING STONE senior editor David Fricke tells the stories behind Harrison’s best-known songs, and offers a guide to twenty-five essential Harrison recordings. 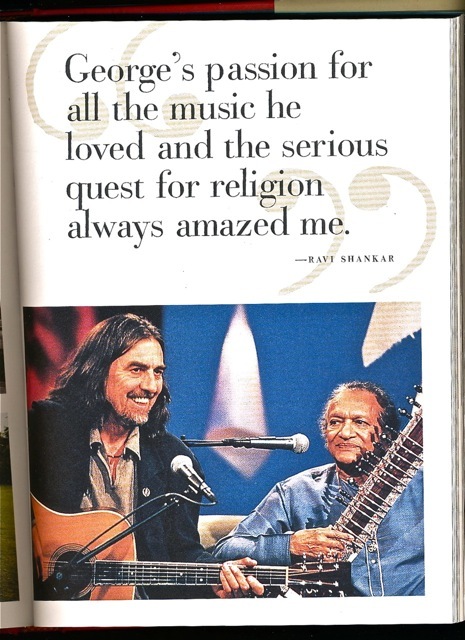 Harrison also features news stories and interviews with the guitarist from throughout ROLLING STONE’s history — from his first Q&A with the magazine, in 1968, to his last, a 1987 interview with ROLLING STONE contributing editor Anthony DeCurtis”. 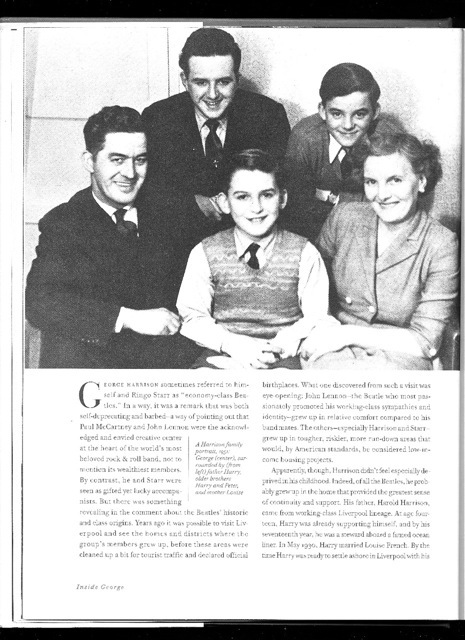 Its kind of a nice retrospective precursor (if that isn’t an oxymoron!) to the “Living in the Material World” book and Scorsese documentary from 2011. 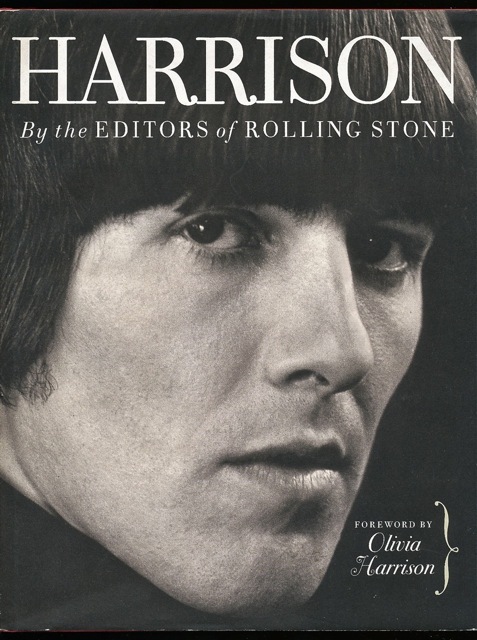 For a “Look Inside” experience of Harrison – By the Editors of Rolling Stone go to Amazon. 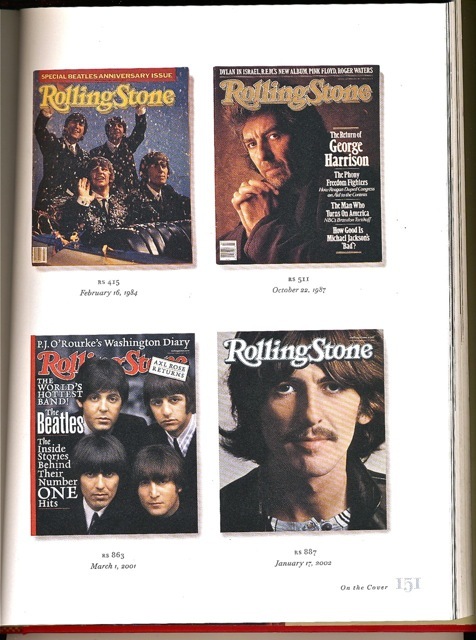 This entry was posted in Beatles, Beatles Books, Beatles Collecting, Beatles Music, George Harrison and tagged Beatles, Beatles Books, Beatles Collecting, George Harrison, Music by beatlesblogger. Bookmark the permalink.